This will create a asst3_pathtracer folder with all the source files. When you first run the application, you will see an interactive wireframe view of the scene that should be familiar to you from Assignment 2. You can rotate the camera by left-clicking and dragging, zoom in/out using the scroll wheel (or multi-touch scrolling on a trackpad), and translate (dolly) the camera using right-click drag. Hitting the spacebar will reset the view. 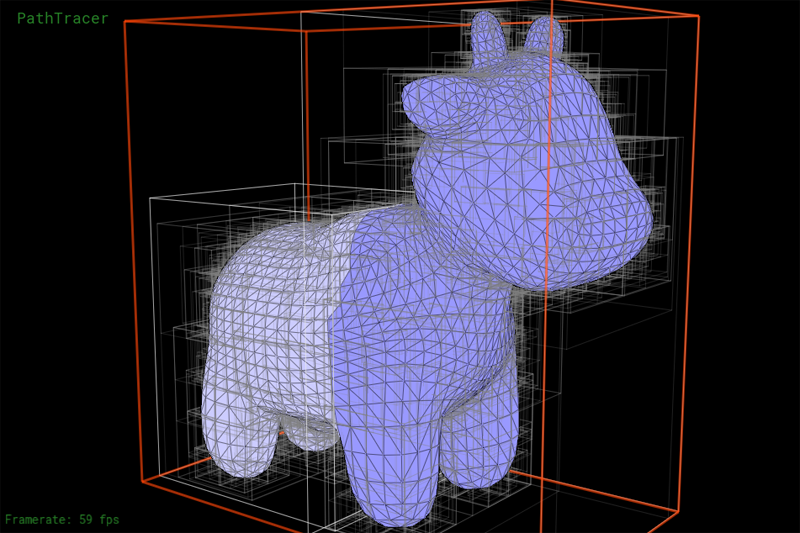 As with assignment 2, you'll notice that mesh elements (faces, edges, and vertices) under the cursor are highlighted. Clicking on these mesh elements will display information about the element and its associated data. The UI has all the same mesh editing controls as the MeshEdit app from Assignment 2 (listed below). If you want, you can copy your implementation of these operators from Assignment 2 into your Assignment 3 codebase, then you will be able to edit scene geometry using the app. In addition to the mesh editing UI, the app features two other UI modes. Pressing the R key toggles display to the rendered output of your ray tracer. If you press R in the starter code, you will see a black screen (You have not implemented your ray tracer yet! ). 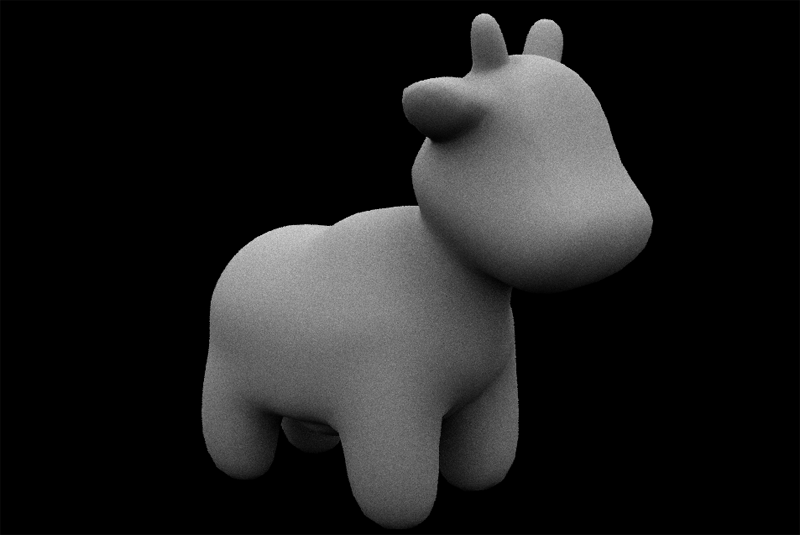 However, a correct implementation of the assignment will make pictures of the cow that looks like the one below. A table of all the keyboard controls in the interactive mesh viewer part of the pathtracer application is provided below. The main workhorse class is Pathtracer defined in pathtracer.cpp. Inside the ray tracer class everything begins with the method Pathtracer::raytrace_pixel() in pathtracer.cpp. This method computes the value of the specified pixel in the output image. The camera is defined in the Camera class in camera.cpp. You will need to modify `Camera::generate_ray()' in Part 1 of the assignment to generate the camera rays that are sent out into the scene. Scene objects (e.g., triangles and spheres) are instances of the Primitive interface defined in static_scene/Primitive.h. You will need to implement the Primitive::intersect() method for both triangles and spheres. Lights implement the Light interface defined in static_scene/Light.h. The initial starter code has working implementations of directional lights and constant hemispherical lights. Light energy is represented by instances of the Spectrum class. While it's tempting, we encourage you to avoid thinking of spectrums as colors -- think of them as a measurement of energy over many wavelengths. Although our current implementation only represents spectrums by red, green, and blue components (much like the RGB representations of color you've used previously in this class), this abstraction makes it possible to consider other implementations of spectrum in the future. Spectrums can be converted into colors using the Spectrum::toColor() method. Take a look at Pathtracer::raytrace_pixel() in pathtracer.cpp. The job of this function is to compute the amount of energy arriving at this pixel of the image. Conveniently, we've given you a function Pathtracer::trace_ray(r) that provides a measurement of incoming scene radiance along the direction given by ray r.
When the number of samples per pixel is 1, you should sample incoming radiance at the center of each pixel by constructing a ray r that begins at this sensor location and travels through the camera's pinhole. Once you have computed this ray, then call Pathtracer::trace_ray(r) to get the energy deposited in the pixel. Step 1: Given the width and height of the screen, and point in screen space, compute the corresponding coordinates of the point in normalized ([0-1]x[0x1]) screen space in Pathtracer::raytrace_pixel(). Pass these coordinates to the camera via Camera::generate_ray() in camera.cpp. Step 2: Implement Camera::generate_ray(). This function should return a ray in world space that reaches the given sensor sample point. We recommend that you compute this ray in camera space (where the camera pinhole is at the origin, the camera is looking down the -Z axis, and +Y is at the top of the screen.) Note that the camera maintains camera-space-to-world space transform c2w that will be handy. Step 3: Your implementation of Pathtracer::raytrace_pixel() must support supersampling (more than one sample per pixel). 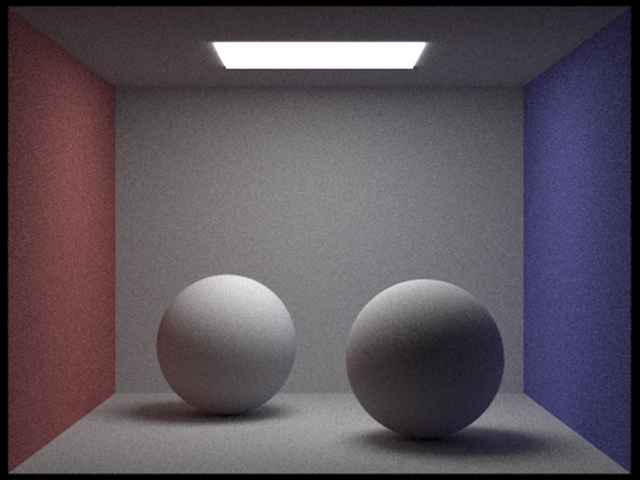 The member Pathtracer::ns_aa in the raytracer class gives the number of samples of scene radiance your ray tracer should take per pixel (a.k.a. the number of camera rays per pixel. Note that Pathtracer::gridSampler->get_sample() provides uniformly distributed random 2D points in the [0-1]^2 box (see the implementation in sampler.cpp). Since it'll be hard to know if you camera rays are correct until you implement primitive intersection, we recommend debugging your camera rays by checking what your implementation of Camera::generate_ray() does with rays at the center of the screen (0.5, 0.5) and at the corners of the image. Before starting to write any code, go through the existing code and make sure you understand the camera model we are using. Modify the implementation of the camera to simulate a camera with a finite aperture (rather than a pinhole camera). 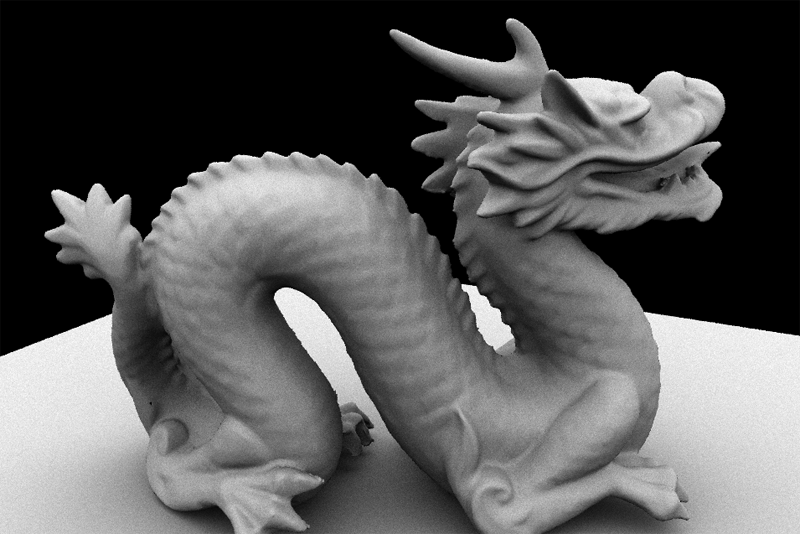 This will allow your ray tracer to simulate the effect of defocus blur. Now that your ray tracer generates camera rays, you need to implement ray-primitive intersection routines for the two primitives in the starter code: triangles and spheres. This handout will discuss the requirements of intersecting primitives in terms of triangles. bool Triangle::intersect(const Ray& r) returns true/false depending on whether ray r hits the triangle. bool Triangle::intersect(const Ray& r, Intersection *isect) returns true/false depending on whether ray r hits the triangle, but also populates an Intersection structure with information describing the surface at the point of the hit. You will need to implement both of these routines. Correctly doing so requires you to understand the fields in the Ray structure defined in ray.h. Ray.min_t and Ray.max_t correspond to the minimum and maximum points on the ray. That is, intersections that lie outside the Ray.min_t and Ray.max_t range should not be considered valid intersections with the primitive. There are also two additional fields in the Ray structure that can be helpful in accelerating your intersection computations with bounding boxes (see the BBox class in bbox.h). You may or may not find these precomputed values helpful in your computations. Ray.sin hold indicators of the sign of each component of the ray's direction. One important detail of the Ray structure is that min_t and max_t are mutable fields of the Ray. This means that these fields can be modified by constant member functions such as Triangle::Intersect(). When finding the first intersection of a ray and the scene, you almost certainly want to update the ray's max_t value after finding hits with scene geometry. 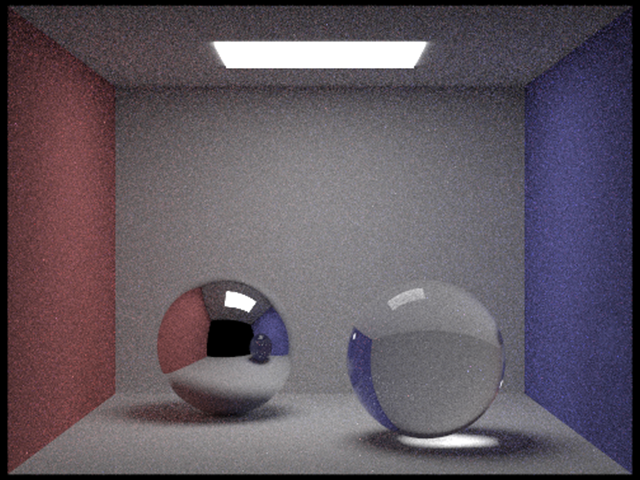 By bounding the ray as tightly as possible, your ray tracer will be able to avoid unnecessary tests with scene geometry that is known to not be able to result in a closest hit, resulting in higher performance. While faster implementations are possible, we recommend you implement ray-triangle intersection using the method described in the lecture slides. Further details of implementing this method efficiently are given in these notes. When intersection occurs with the back-face of a triangle (the side of the triangle opposite the direction of the normal) you should return the normal of triangle pointing away from the side of the triangle that was hit. If you need to distinguish back-face-hit and front-face-hit in your implementation, you might consider adding a flag(e.g. bool is_back_hit) to the 'Intersection' structure. Once you've successfully implemented triangle intersection, you will be able to render many of the scenes in the scenes directory ( /dae)). However, your ray tracer will be very slow! Please also implement the intersection routines for the Sphere class in sphere.cpp. Remember that your intersection tests should respect the ray's min_t and max_t values. In this task you will implement a bounding volume hierarchy that accelerates ray-scene intersection. All of this work will be in the BVHAccel class in bvh.cpp. The BVHAccel class maintains an array of all primitives in the BVH (primitives). The fields start and range in the BVHNode refer the range of contained primitives in this array. Step 1: Your job is to construct a BVH using the Surface Area Heuristic discussed in class. Tree construction should occur when the BVHAccel object is constructed. We have implemented a number of tools to help you debug the BVH. Press the V key to enter BVH visualization mode. This mode allows you to directly visualize a BVH as shown below. The current BVH node is highlighted in red. Primitives in the left and right subtrees of the current BVH node are rendered in different colors. Press the LEFT or RIGHT keys to descend to child nodes of the mesh. Press UP to move the parent of the current node. Step 2: Implement the ray-BVH intersection routines required by the Primitive interface. You may wish to consider the node visit order optimizations we discussed in class. Once complete, your renderer should be able to render all of the test scenes in a reasonable amount of time. In this task you will modify Raytracer::trace_ray() to implement accurate shadows. It computes the intersection of ray r with the scene. It computes the amount of light arriving at the hit point hit_p (the irradiance at the hit point) by integrating radiance from all scene light sources. Shadows occur when another scene object blocks light emitted from scene light sources towards the hit point (hit_p). Fortunately, determining whether or not a ray of light from a light source to the hit point is occluded by another object is easy given a working ray tracer (which you have at this point!). You simply want to know whether a ray originating from the hit point (p_hit), and traveling towards the light source (dir_to_light) hits any scene geometry before reaching the light (note, the light's distance from the hit point is given by dist_to_light). A common ray tracing pitfall is for the "shadow ray" shot into the scene to accidentally hit the same triangle as r (the surface is erroneously determined to be occluded because the shadow ray is determined to hit the surface!). We recommend that you make sure the origin of the shadow ray is offset from the surface to avoid these erroneous "self-intersections". For example, o = p_hit + epsilon * dir_to_light (note: EPS_D is defined for this purpose). You will find it useful to debug your shadow code using the DirectionalLight since it produces hard shadows that are easy to reason about. At this point you should be able to render very striking images. 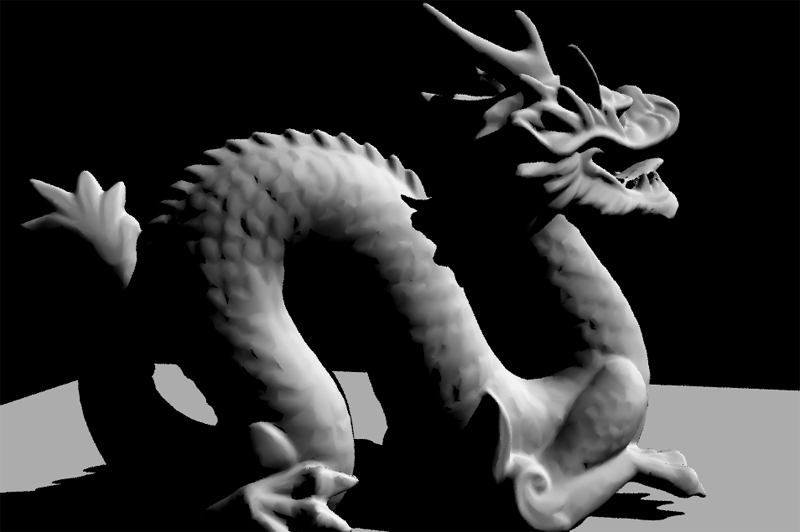 For example, here is the Stanford Dragon model rendered with both a directional light and a hemispherical light. The BRDF class has been renamed BSDF (for "bidirectional scattering distribution function") to indicate that the class is now responsible for computing both light that is reflected from the surface, but also light that is refracted as it is transmitted through the surface. Implementations reside in bsdf.cpp/h. Rather than use a single hardcoded light source in your Pathtracer::trace_ray() lights are now defined as part of the scene description file. PathTracer::raytrace_pixel(size_t x, size_t y) now returns a Spectrum for the pixel (it doesn't directly update the output image). The update is now handled in PathTracer::raytrace_tile() and is included in the starter code. Note the time-quality tradeoff here. With these commandline arguments, your path tracer will be running with 8 worker threads at a sample rate of 256 camera rays per pixel, with a max ray depth of 4. This will produce an image with relatively high quality but will take quite some time to render. Rendering a high quality image will take a very long time as indicated by the image sequence below, so start testing your path tracer early! The termination probability of paths can be determined based on the overall throughput of the path (you'll likely need to add a field to the Ray structure to implement this) or based on the value of the BSDF given wo and wi in the current step. Keep in mind that delta function BRDFs can take on values greater than one, so clamping termination probabilities derived from BRDF values to 1 is wise. We've given you some pretty good notes on how to do this part of the assignment, but it can still be tricky to get correct. Now that you have implemented the ability to sample more complex light paths, it's finally time to add support for more types of materials (other than the fully Lambertian material provided to you in the starter code). In this task you will add support for two types of materials: a perfect mirror and glass (a material featuring both specular reflection and transmittance). 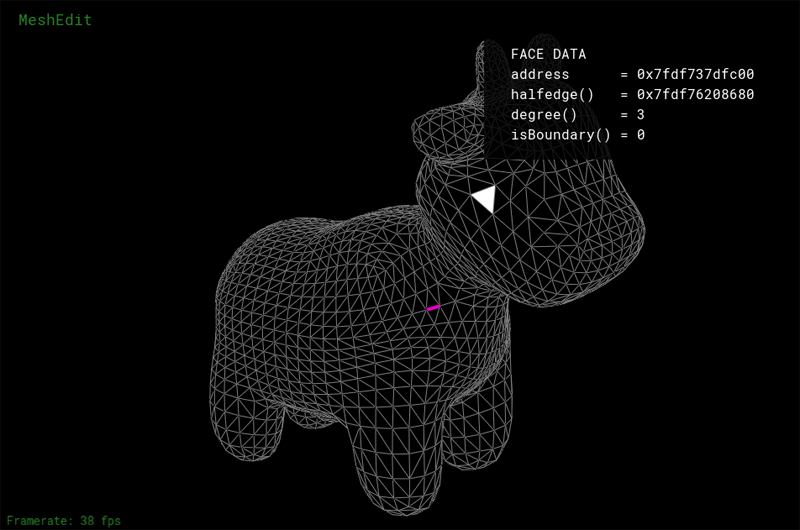 BSDF::f(wo,wi) evaluates the distribution function for a given pair of directions. BSDF::sample_f(const Vector3D& wo, Vector3D* wi, float* pdf) generates a random sample wo (which may be a reflection direction or a refracted transmitted light direction). The method returns the value of the distribution function for the pair of directions, and the pdf for the selected sample wi. BSDF::reflect(w0, ...) returns a direction wi that is the perfect specular reflection direction corresponding to wi (reflection of w0 about the normal, which in the surface coordinate space is [0,0,1]). More detail about specular reflection is here. BSDF::refract(w0, ...) returns the ray that results from refracting the ray w0 about the surface according to Snell's Law. The surface's index of refraction is given by the argument ior. Your implementation should assume that if the ray w0 is entering the surface (that is, if cos(w0,N) > 0) then the ray is currently in vacuum (index of refraction = 1.0). If cos(w0,N) < 0 then your code should assume the ray is leaving the surface and entering vacuum. In the case of total internal reflection, the method should return false. Implement BSDF::refract() to add support for refracted ray paths. You should read the provided notes on the Fresnel equations as well as on how to compute a transmittance BRDF. The final task of this assignment will be to implement a new type of light source: an infinite environment light. An environment light is a light that supplies incident radiance (really, the light intensity dPhi/dOmega) from all directions on the sphere. The source is thought to be "infinitely far away", and is representative of realistic lighting environments in the real world: as a result, rendering using environment lighting can be quite striking. The intensity of incoming light from each direction is defined by a texture map parameterized by phi and theta, as shown below. In this task you need to implement the EnvironmentLight::sample_L() method in static_scene/environment_light.cpp. You'll start with uniform direction sampling to get things working, and then move to a more advanced implementation that uses importance sampling to significantly reduce variance in rendered images. Since high dynamic range environment maps can be large files, we have not included them in the starter code repo. You can download a set of environment maps from this link. You must write your own code to uniformly sample the sphere. The size of the environment texture is given by envMap->w and envMap->h. Much like light in the real world, most of the energy provided by an environment light source is concentrated in the directions toward bright light sources. Therefore, it makes sense to bias selection of sampled directions towards the directions for which incoming radiance is the greatest. In this final task you will implement an importance sampling scheme for environment lights. For environment lights with large variation in incoming light intensities, good importance sampling will significantly improve the quality of renderings. The basic idea is that you will assign a probability to each pixel in the environment map based on the total flux passing through the solid angle it represents. We've written up a detailed set of notes for you here (see "Task 7 notes"). When computing areas corresponding to a pixel, use the value of theta at the pixel centers. We recommend precomputing the joint distributions p(phi, theta) and marginal distributions p(theta) in the constructor of EnvironmentLight and storing the resulting values in fields of the class. Spectrum::illum() returns the luminance (brightness) of a Spectrum. The probability of a pixel should be proportional to the product of its luminance and the solid angle it subtends. std::binary_search is your friend. Documentation is here. You will need to create the asst3 directory yourself. All your files should be placed there. Please make sure you have a directory and are able to write to it well before the deadline; we are not responsible if you wait until 10 minutes before the deadline and run into trouble. Also, you may need to run aklog cs.cmu.edu after you login in order to read from/write to your submission directory. Note: You can save your rendered images from the application by pressing S when your path tracer is done rendering. The screenshots you submit should be rendered at relatively high quality configurations. Feel free to include additional images you have rendered with your path tracer, especially the ones that demonstrates the extra credit features you have implemented. You should also include, in your README file, the pathtracer configuration you used to render the images are submitting. If you have implemented any of the extra credit features, clearly indicate which extra credit features you have implemented. You should also briefly state anything that you think the grader should be aware of. As always, start early. There is a lot to implement in this assignment, and no official checkpoint, so don't fall behind! Depending on your implementation, the rendering process might take several hours to finish. So start early to make sure you have enough time to render some beautiful images (which is the most enjoyable part of this assignment). While C has many pitfalls, C++ introduces even more wonderful ways to shoot yourself in the foot. It is generally wise to stay away from as many features as possible, and make sure you fully understand the features you do use. The C++ Super-FAQ is a great resource that explains things in a way that's detailed yet easy to understand (unlike a lot of C++ resources), and was co-written by Bjarne Stroustrup, the creator of C++! 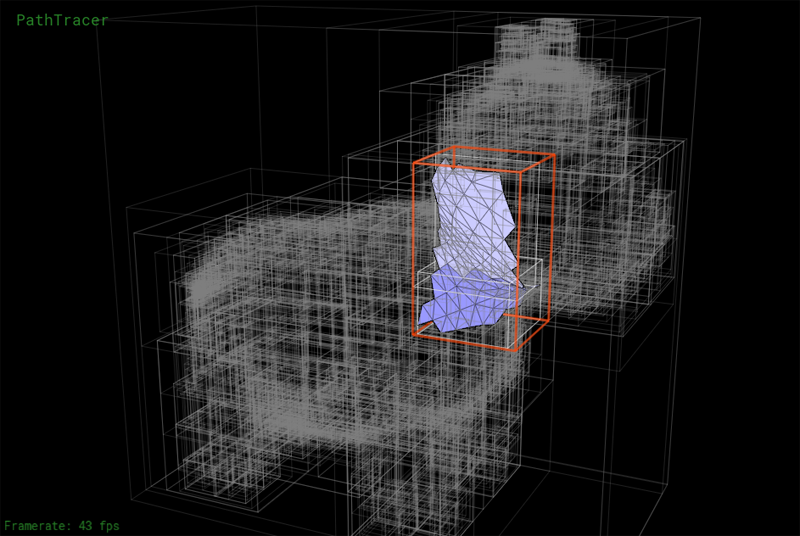 Asst3 PathTracer is maintained by 462cmu. This page was generated by GitHub Pages using the Cayman theme by Jason Long.